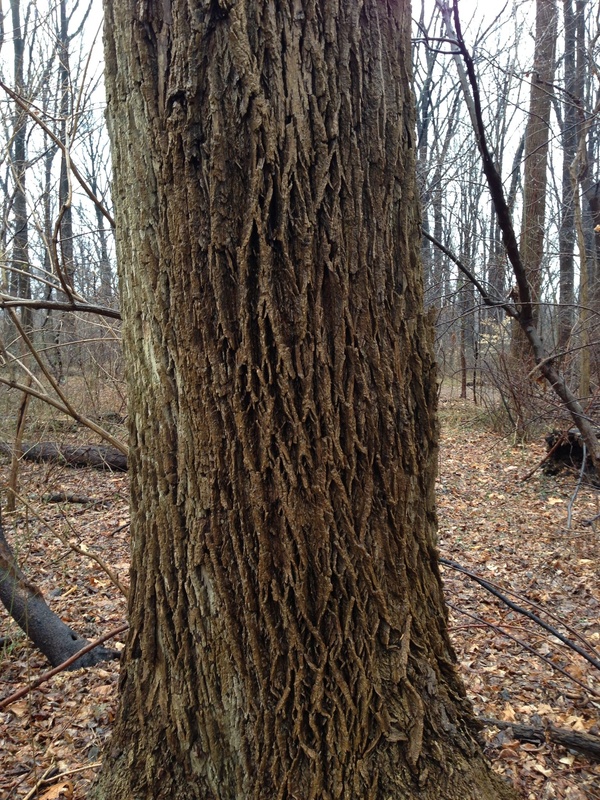 White Ash, (Fraxinus americana), bark and trunk. Deep fissures forming elongated diamond pattern that repeats. Grayish brown in color, and has a similar look to the neighboring Tulip Poplar. Fissures are deeper and less contiguous. In the winter the Ash does not have the noticeable seed pods the Tulip Poplar has. Photographed in Morris Park, February 8th, 2013. Please let me know if this is possible and, if so, how you would like the credit to read.